Don't let the sunshine end! Summer 2018 will certainly go down as one to remember. 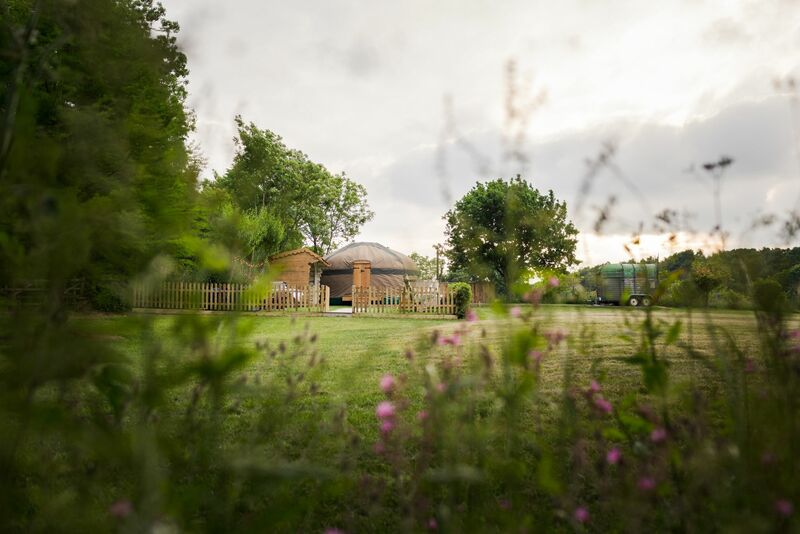 The prolonged heatwave, balmy nights and al fresco frolics seem to have stirred the imagination and broadened everyone's holiday horizons, with our glamping experiences highly sought after as people head to the countryside to indulge in those sunny skies. Perfectly timed, it would seem, to introduce you to five more inspired locations new to Host Unusual for future glampventures. Banish thoughts of camping with fuss and stress, as we let you concentrate on connecting to outdoor life in unique, relaxing style. Think all-weather pods, a luxury yurt, an upcycled horsebox, cosy cabins and a glass-roofed dome, all awaiting your exploration. 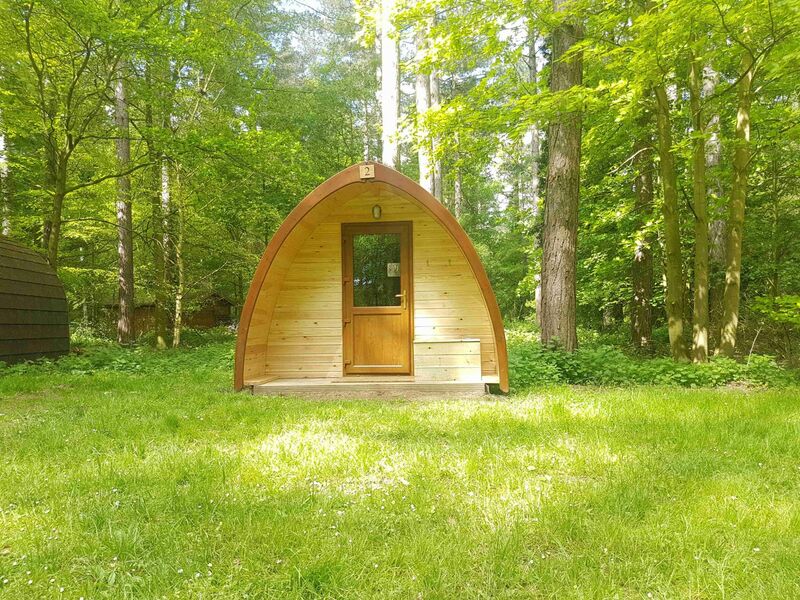 The clue is surely in the title here at this fantastic group glamping retreat in the heart of Norfolk's beautiful Thetford Forest. Escape Pods offers the rare chance for larger groups of guests to experience the great outdoors and a dose of escapism without enduring all the usual hassles of camping. With eight cosy, all-weather cabins with proper beds available - plus a range of truly excellent facilities and activities on offer - you and your family, friends or colleagues can experience this stunning woodland retreat without compromising on too many creature comforts. If one of your favourite things about camping is the prospect of huddling around a campfire with marshmallows on sticks, then this is the place for you. Prepare yourself for some unparalleled glamping luxury just for adults in a peaceful Dorset setting. Hollands Farmhouse originally dates back to the 18th century, and was once a working dairy farm. In present times, the farm's gardens have been beautifully maintained to provide the ideal setting for an unforgettable countryside escape. Locally crafted by experts and created from fine oak and canvas, this beautiful yurt (above and main image) is sustainable, wonderfully spacious, and insulated with sheep's wool for extra cosiness. You'll find everything you need to relax and revive both inside and out - the latter comprising a cedar wood hot tub, a giant bean bag and a cosy hammock...you'll be spoilt for choice of sunset and stargazing points. If you dream of a truly off-grid experience, with Irish mountains, woodland and seaside all just moments away, this is the eco haven you're seeking. The brainchild of Steve and Claire, who dreamed of developing their own off-grid sustainable smallholding in stunning County Down, today open the doors of their fabulous upcycled horse box and the beautiful Birch Cottage to guests. 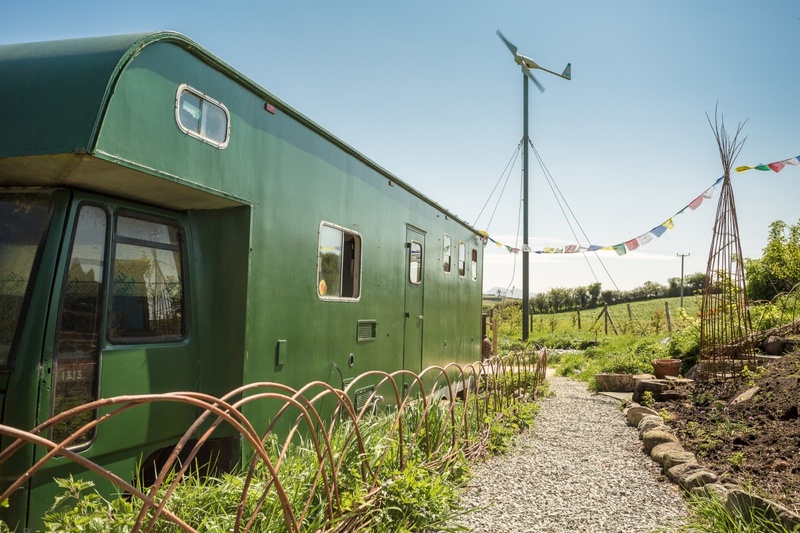 The ingeniously transformed horse box is a surprisingly spacious and homely spot for two including a Stanley woodburner, then of course there's the award-winning eco cottage - the only off-grid cottage in Northern Ireland. Dating back to the 1840s, it's since been ingeniously renovated into a wonderfully green holiday retreat. Serene, secluded and spectacular, if you're in need of a refreshing countryside escape without compromising on luxury, a stay at Kiss Wood Cabins is just what the doctor ordered. Your setting is the friendly, family-run Nettlebeds Farm, surrounded by the beautifully unspoilt Peak District National Park. Grazing cows and sheep dot the wildflower-strewn landscape, while Shell Brook valley is ideal for deer-spotting. Choose from three spacious and insulated pods, all nestled in the midst of the countryside. Each pod sleeps up to four, and comes equipped with luxuries that include cosy underfloor heating and electricity. Forget-Me-Not even comes with a cedar log-fired hot tub, ideal for watching the sunset with a glass of bubbles in hand. 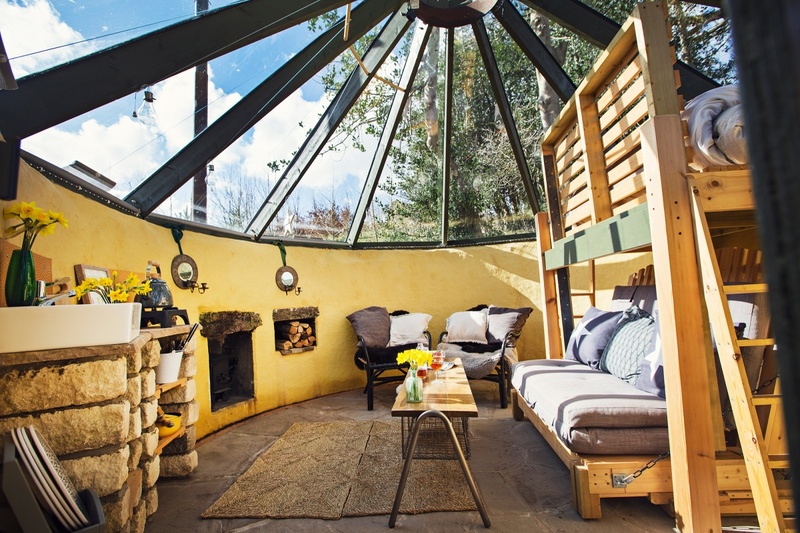 We're fairly certain you've never seen anything quite like The Starhouse before; a simply stunning and lovingly handbuilt, glass-roofed dome house set in the Black Mountains of Wales. Representing a true labour of love by its friendly, rural-loving owners who designed the 4m diameter home themselves and painstakingly constructed it from local stone and glass panels, this unique rural retreat contains everything you'll need for a cosy off-grid country stay. When it's time to turn in after a day exploring the Brecon Beacons, head for the bed raised on stilts to maximise those exceptional panoramic views and feel completely relaxed amongst the beauty of nature. A sound night's sleep under the stars is assured!